The Beak: Signs of Spring!! Ahahahahahh *she cackles wildly* it really is here! I cleaned out my flowerbeds to see what was happening under all the leaves and dead plants, and yes, spring is here! 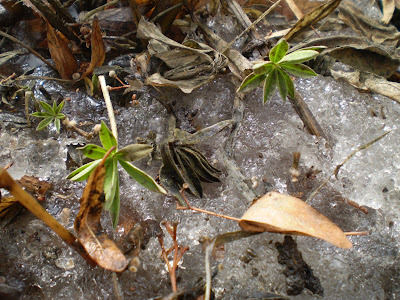 Even if my lupins are stupid (or desperate) enough to grow, um, through ice??? 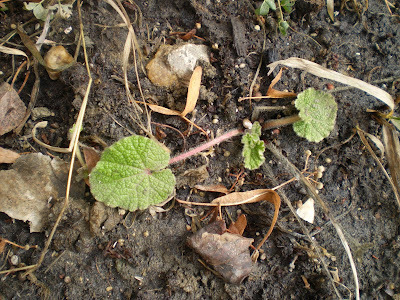 And I have hollyhocks all over by the fence coming up, yippee! 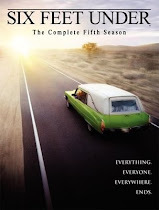 6 Feet Under Season 5..last season! Happy 4th Birthday Ruby and Violet! !